I’d be a millionaire if I had a dime for everyone who contacted me with fear in their eyes and panic in their voices because…it was time to do a high school transcript! OK, to be fair, I once felt the same way. As a matter of fact, when we first started homeschooling, I had no idea I’d ever be considering teaching high school. 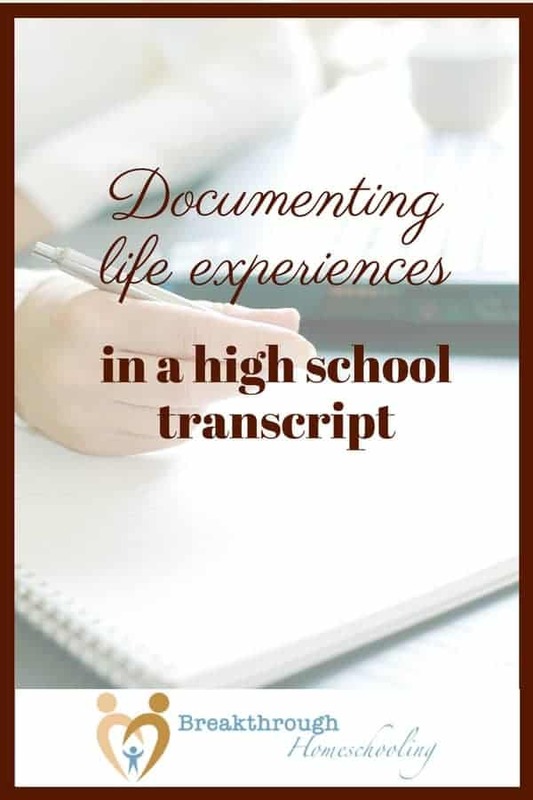 But even more than that, I had no idea I'd have youngsters who would require me/us to find ways to include their many and creative life experiences into their high-school transcripts. As our children grew, I began to see and understand that real-life lessons are vital to a well-rounded education. Just pick up Revealing School by Britton B.LaTulippe or any book by John Taylor Gatto, and you'll understand how the traditional format of education - whether it's found in a classroom setting or around your dining room table - inhibits the development of our children's creativity and dampens their love for learning. That said, however, if you have a college-bound young person at home, you still need to be able to summarize and present the value of the unique and perhaps non-traditional learning experiences in a way that is understood by the admissions department of those institutions. The vital element in incorporating those experiences is record-keeping. I’m saying this to you with as much kindness and empathy and firmness as I can convey! This is NOT the time to repeat the mantra you may have been saying over and over again throughout your life: “Oh gee, I’m so unorganized!” or “I’m just not the organized type.” I’m not saying that you need to become a Type A personality or develop organizational skills in every area of your life. But if you’re committing to homeschooling through high school, you have to develop some type of filing and/or record-keeping system that will keep your student’s information together during this time! College admission departments can get hundreds of applications over the course of their enrollment periods, and somebody has to go through them. Unless the admission department asks for extra information or a portfolio of work, your final transcript should be two pages long: one page of courses/grades in transcript form and, if necessary, a second page listing awards, activities, and achievements. That’s it! Think about it: when an admissions counselor sees an application that includes a 4.0 (or higher!) GPA, multiple awards, and pages of flowery descriptions of positions held and extra-curricular achievements, written up by mom, what is she going to think? Does the phrase “If it’s too good to be true…” perhaps apply here? These may be hard words to read, but they’re the truth and it’s better to hear it from a friend. Keep it simple, sista’ - overselling your student may backfire in the end. Don’t include it in your standard transcript, but do have a document available that lists the books used in your coursework, especially if the course was parent-created and not a standard published product. Also include hours worked or served if you’re including a work-study program or volunteer work, or if you need to substantiate self-study hours for parent-awarded credit. You can use our Self-Study Tracking sheet, found in our free Homeschool High School Planning Package*, or a piece of notebook paper. The important thing is that you use whatever works for you. Seriously, the best way to prepare to do a transcript is to start out with one! As your student approaches high school, feel free to use our High School Planning Chart* that doubles as a resource for your final product. After freshman year, when you as a teacher/counselor/administrator have gained some experience and confidence, transfer the information to your actual transcript, or use our transcript template*. Work from there for the remaining years, making adjustments and notations as needed. You can do it - we can help! Life experiences can and should be incorporated into your student’s high school education. Of course, I’m talking serious life-preparation activities, and this is the best time to get creative and forward thinking in this area. "Electives" can be as rigorous and useful as you make them! Our eldest child provided me with tons of experience from the get-go. Most definitely not a “book learner”, he developed a serious fascination with cars as he approached the time to get his license. Always having been a kinesthetic learner, he became intrigued with the functioning of an automobile. However, my husband and I didn’t really see him pursuing a career as a mechanic, so while we remained firm that he would be college-bound, it was apparent that, at least during his high school years, we’d have to come up with a more creative way to further his education. This became a wonderful blueprint for a high school application for Unit Studies! He became a voracious reader about anything auto-related, and I asked him to maintain a reading list. It began with magazine articles but grew into all sorts of books – autobiographies, car-related inventions, histories of his favorite makes/models, more science-focused books on the actual workings of engines and systems. All these covered relevant studies in science and history. Periodic reports developed his writing skills. At times we’d go down to the shop where he would show us, with the aid of “props” and other appropriate visuals, what he’d been learning; other times he’d share at the family dinner-table. Both situations were opportunities to develop presentation skills. Working on a project with dad helped him learn and then hone newly developed mechanical skills, too. He kept records of time spent on all his shop- and study-time, and at the end of the year, was able to receive a full credit, two years in a row, for a life-skill course we called Auto Mechanics I and II. Depending on how many and what kind, you could divide this list into categories, or simply format them in a bullet list. The easiest and probably most clear way would be to present them as you would a resume: most recent first, include dates of involvement and include a short description, but only if necessary. It also bears repeating here that you do not want to oversell your child’s success. Yes, put his best foot forward, but don’t contribute to the misrepresentation that homeschool moms can’t or don’t accurately portray their children’s achievements. This book is a great resource for record-keeping and learning how to document real-life experiences as part of your homeschool. It IS an "older" book, written by a veteran who led the way for many of us when the modern homeschooling movement was still in its infancy. There are a plethora of forms and formats that are very paper-intensive, but anyone with a decent knowledge of Word or Excel could easily make the transition to a more computer-friendly and personalized format. While you may be slightly overwhelmed by tthe number ofdifferent options presented, a weekend of study with your favorite beverage will help you sort it all out. 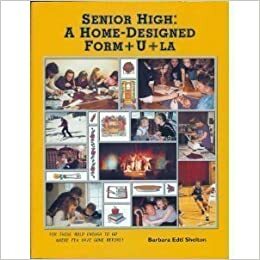 Or shoot us an email and I'll help - this was my homeschool bible while putting our two oldest through high school, and I can offer some options to help you get the most out of it. If your homeschooler is definitely college-bound, this resource might be preferable. 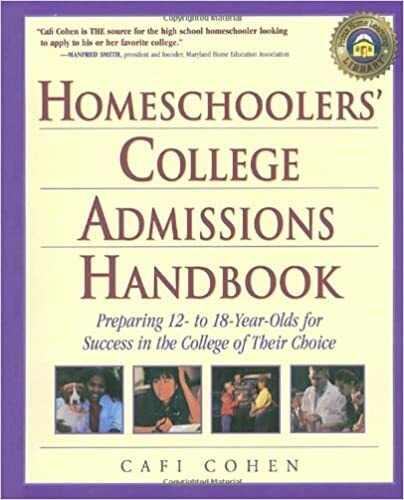 This one, too, is not considered a newer resource, but honestly, the considerations and issues you need to address to adequately prepare your child for college have not changed much over the years. The final recommendation is always to check with the targeted colleges to see what their requirements are. There is no book or program or shortcut to the due diligence parents - and their college-bound students - should complete during the high school years! While it does take preparation, planning, and follow-through to craft a practical and useful high school experience for your child, it’s not rocket science (although you could have her study that and receive a full science credit). While academic preparation is vital for a college-bound student, incorporating solid and practical "real life experiences" will round out a fulfilling and rigorous high school program at home, more-than-adequately preparing her for a wonderful future! Are you teaching high school at home this year, or in the near future? What do your child's real-life experiences look like? And if you're a "veteran" we'd love to hear your story, below.